U.S. reportedly turns down visa requests from Mossad, Shin Bet agents; change may mean fewer American exports to Israel. The United States has quietly instituted a policy of denying visa requests from members of Israel’s security services, Maariv/nrg reports. Senior security personnel who spoke to the paper said that over the past year they have seen hundreds of cases in which members of the Shin Bet and Mossad, and workers in Israel’s defense industries, have been told they cannot visit America. The situation has been discussed in Israeli defense circles, they said. No official statement has been forthcoming from either U.S. or Israeli leaders. 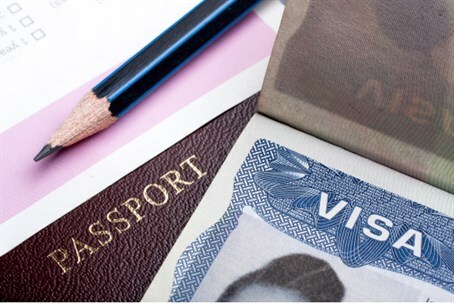 A senior security expert who spoke to Maariv reported that he was denied a visa to the U.S. this year despite having visited the country many times in the past without incident. “I’ve been in the U.S. dozens of times as part of my job, and I never had any problem getting a visa,” he said. The phenomenon of visa denial reportedly extends to Israelis already in the United States as well. Security personnel working in the U.S. reported being given only short-term visas, and being forced to leave for Canada and wait weeks for their visas to be renewed. Some of the Israelis who were denied entrance to the U.S. had been planning to meet with American business owners to discuss importing their products to Israel. They warned that the visa situation could mean the potentially lucrative deals are cancelled. The report follows the revelation in February that the U.S. State Department is increasingly rejecting visa requests from Israeli citizens. Data released by the State Department showed an 80% increase in the number of visa request rejections in 2013. In total, 9.7% of tourist visa requests from Israelis were rejected in 2013, up from 5.4% in 2012. As recently as 2007, just 2.5% of requests were denied. Sources in the Foreign Ministry’s consular branch accused State Department officials of rejecting requests from Israelis for political reasons, with the goal of stripping Israel of its “white list” status – a status given only to countries with a visa rejection rate of under 3 percent.